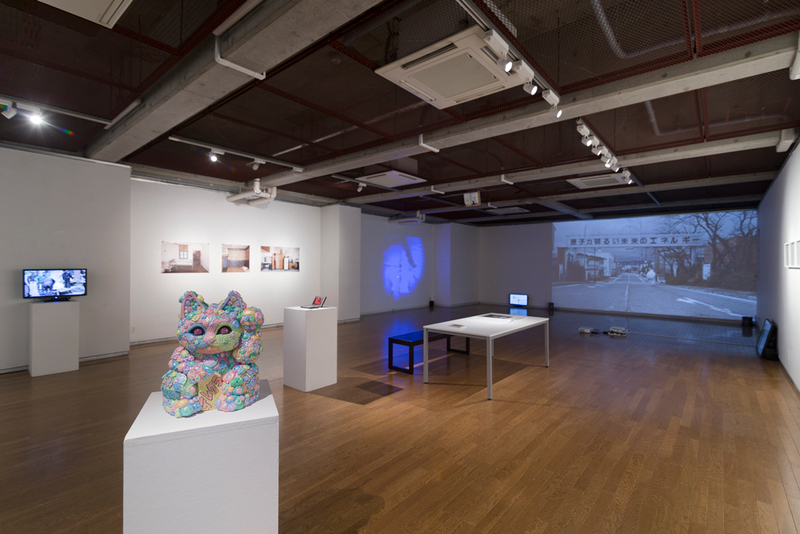 Decoding the 21st century landscape in Asia, one that is rapidly changing in light of technological, economic, and societal shifts in the age of globalization; TUA’s Graduate School of Global Arts and Art Institute Kitakyushu presented LANDSCAPE: Hotel Asia Project 2017 – is a three day exhibition and symposium (January 27 to 29, 2017) that was held at the Department of Music Exhibition Room in Tokyo University of the Arts, Ueno Campus. 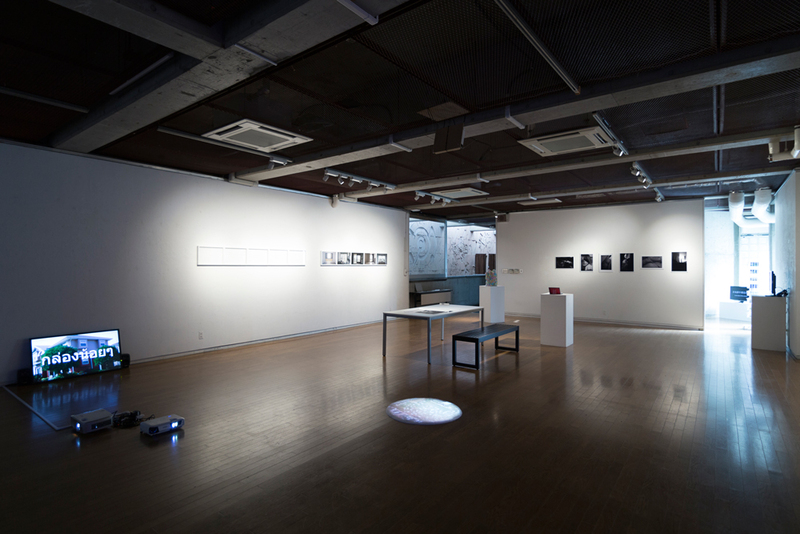 A touring exhibition initiated by Hotel Asia Project and presented at Soap in Kitakyushu (2015) and then travelling around China and Thailand, the aim of the exhibition is to “reconstruct landscapes surrounding us” that have already been branded and commodified by Real Estates and quasi-State projects affecting the living systems of people. Using video and different forms of media; participating artists thoroughly examined the effect of changing landscapes in contemporary urban cities between said countries. Together in the exhibition, questions were raised concerning systems of possession, occupation and control that are at play in the changing landscape of today. However, for this their next destination, which is Tokyo; their short and significant stop is focused on the concept of “Landscape” itself and its current conditions in Japan. Participating artists and researchers from different fields and nationalities included: Ai Kano (Japan), Babu (Japan), Bongsou Kim (Korea), Catherine Harrington (UK), Siriphol (Thailand), Eri Shibata (Japan), Fumiwo Iwamoto (Japan), Gen Sasaki (Japan), Jong Pairez (Philippines), Keiichi Miyagawa (Japan), Lily Shu (China), Mei Miyauchi (Japan), Midori Miyakawa (Japan), Miti Ruangkritya (Thailand), Ni Kun (China), Second Planet (Japan), Suntag Noh (Korea), Wang Haichuan (China), Yoshitaka Mouri (Japan), Yu Guo (China), and many more. 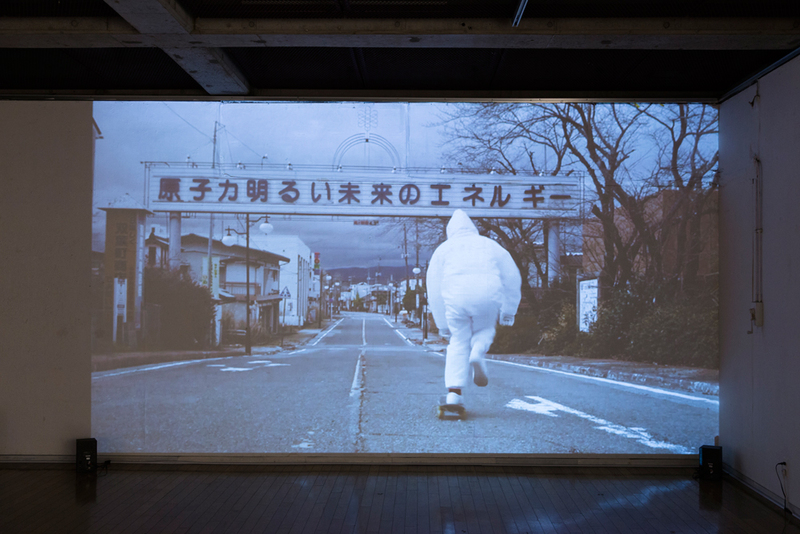 The focused concern of the Tokyo leg of the exhibition’s journey was the impact of the Fukushima Nuclear Crisis in relation to the changing perception of the landscape of contemporary Japan. A video work titled “GOSH!” by Babu (Japan) – a graphic artist and skateboarder, best describes this pressing problem, and as such highlighted the distinct characteristics of this staging from the previous, however, deeply related and dependent. In the video two skateboarders dangerously visited one among many highly radioactive towns in Fukushima. In their full protective gear, they braved to skate the once lively Futaba-cho town that is now uninhabited due to more than 50 millisieverts of radioactive contaminations per year. A place declared a “difficult-to-return-zone” by the Japanese government. As an extreme sport, skateboarding, in a dangerously radioactive landscape is seemingly nothing but a faithful performance of the said sport. But beyond it, the breaching of the restricted landscape to trace its forgotten contours using the skateboard is a re-embodiment of knowledge that was deemed inaccessible. By making it illegally accessible is to take back the opportunity to reflect and regain consciousness that was once interrupted by the consequential accident caused by the speed of turbo-capitalism as described in Paul Virilio’s Dromology. In contemporary warfare and communication, speed is a vital aspect of taking control and remaining in power according to Paul Virilio’s further description of his Dromology concept. Similarly, in the case of the miracle economy of Japan, that catapulted the country to economic world power status after its devastating defeat in Second World War, an obsession with speed and progress was central to the countries economic postwar development. Dotting the entire country with nuclear power plants equipped Japan and helped fuel the country towards full speed reconstruction that made the miracle economy possible and the likely bubble it consequentially produced. In another video work titled “Landscape Theory: An Interview with Masao Adachi” by Hotel Asia Project, a maverick filmmaker Masao Adachi eloquently described the changing landscape of Japan that is now synchronized in the electro-machine sequence of capitalist globalization. His sensibility to this particular thought about the continuing landscape that was interrupted after the bubble will most likely reach the end game. Adachi is known for his cutting-edge experimental filmmaking in the 1960s before he eventually became a fugitive for thirty years after joining the armed militant group Japanese Red Army. What the exhibition tried to imply could be understood in different ways. However, one particular reading that I could possibly see is the warning sign it tries to suggest as seen in the works of Babu, Hotel Asia Project and many more. Secondly, the sign is asking us to be decoded to enable us reimagine a different landscape that is neither promising a utopia as seen in branding and commoditization nor dystopia as described by Masao Adachi.